Hiya girls (and possibly guys)! Hope you've all had a fabulous week! I can't believe it's already September. It's crazy. I am so excited for the autumn/winter months, Halloween, X factor to be back on our screens and of course Christmas. I can't believe that we only have 4 months left of 2013. Yesterday I came back from a week's holiday up in Scotland. Main reason was to see my lovely Nan and spend a bit of time with her which was lovely. The place was absolutely gorgeous with some stunning scenery. I took quite a few photos when I was there so if you would like me to do a blog post on my week away just leave me a comment I will get right to that. 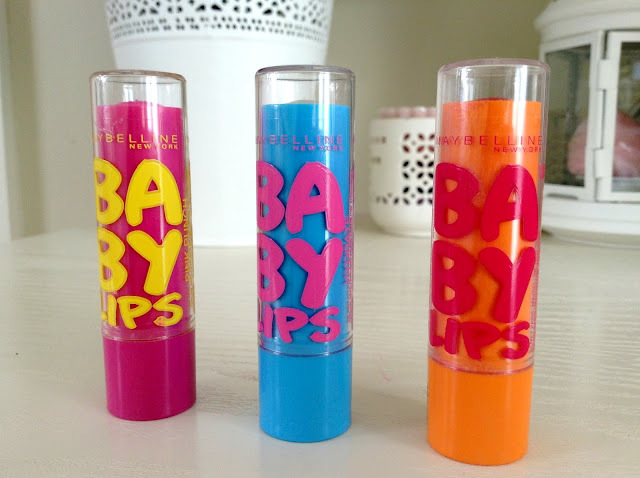 But before I go on and on I'd thought I tell you about a product that is very hyped up in the beauty community at the moment and that is the Maybelline Baby Lips Lip Balms. I kept seeing this on blogs and instagrams and saw people rave about them on twitter but it took me a while to realize that they were not actually available within the UK until quite recently when they started appearing on some UK blogs. A few weeks ago I decided to go on a little outing. The main reason for this was to actually get a new screen on my phone, but that was going to take an hour. I was on my own that day so I was extremely bored so I decided to go and have a look in some of the shops. The main places I went into was Superdrug and Boots as I needed to get stuff for my holiday. Whilst in Boots, I saw that the Maybelline stand was packed full of the Baby Lips and then noticed they were on a 3 for 2 offer. I am an absolute sucker for those kind of offers and definitely didn't hesitate but it was quite difficult to decide what three to pick up. Finally I decided on Cherry Me, Hydrate and Pink Punch. These three all smell absolutely amazing. Cherry Me is a gorgeous pinky reddish color that leaves a gorgeous hint of color on your lips. This smells gorgeous too and is well what the name says a cherry scent. I'm not normally a huge fan of cherry scents as I find some to be quite artificial and overpowering but this is very light and fruity and just perfect. I reckon this scent would be absolutely perfect for the upcoming Autumn months as the scent fits the season perfectly. I love the bright orange packaging as well. Hydrate is just a simple lip balm that you can apply just before bed or before you apply any other products on your lips. It is non-sticky and gets rid of all dryness on your lips which I find is an absolute bonus for me as I tend to get really dry, flaky lips. Not a good look. At all. This has a very sweet but gorgeous scent to it but I just cannot put my finger as to what it actually is. To me it's a very light watermelon type scent. Either way it smells delicious. The blue packaging is extremely cute as well. Pink Punch is a bright barbie pink color that also leaves a hint of color on your lips. Not going to lie this color is definitely not the most flattering color on my lips. So I tend to just put a little bit on my lips and dab it around so there is the tinniest amount of color on my lips. A little definitely goes a long way for me with this balm. Again this scent smells absolutely incredible. Literally a perfect summery scent. I find that it has a light hint of a mango scent as well which I love as I'm sure you are all aware I love me some mango scents. I love that they have just stayed completely on the pink theme and chose that color for the packaging as well. 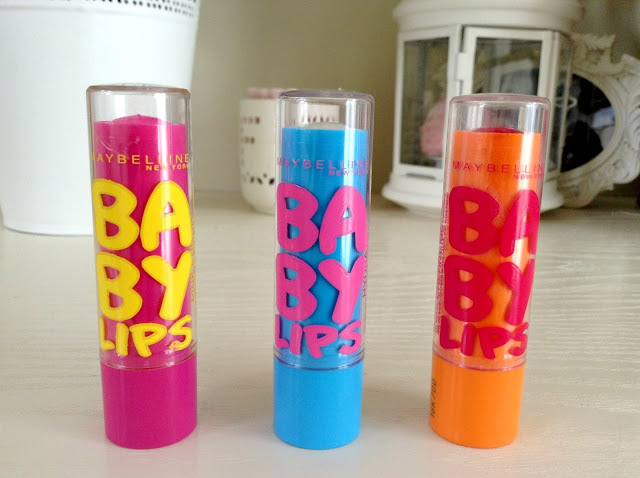 All in all I absolutely love these lipbalms. Everything from the name to the scent to the condition they leave your lips in is amazing. 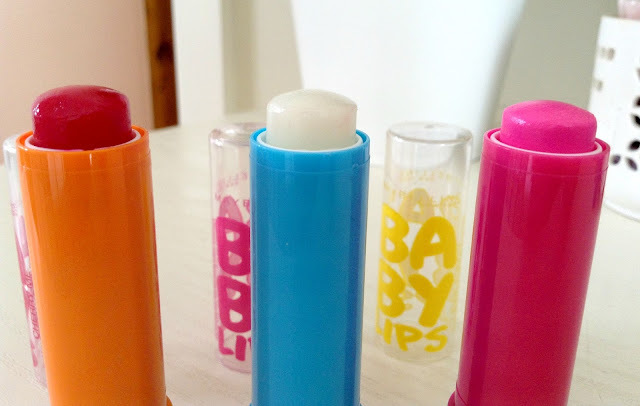 I just cannot recommend these lip balms enough. If you are not keen on these three balms then do not worry as they also have another three which are Minty Fresh and comes in a green packaging, Intensive Care which comes in a bright yellow packaging and Peach Kiss which comes in a purple packaging and like Cherry Me and Pink Punch will leave a hint of color on your lips. Definitely pop into your local boots and try these. As I've mentioned before I bought these on a 3 for 2 deal but they are still extremely affordable and only priced at £2.99 each. Click HERE to purchase these balms from the Boots website. If you purchase all six baby lips then you will only be paying £11.96. Absolute Bargain. Do you agree with the hype of these Baby Lips balms? Have you tried all the scents? Which ones are your favorites? Leave me a comment below. I haven't managed to invest in any yet, but after all the hype that has been made over them, I think I will have to go out tomorrow and choose 3 of my own!! I have just picked up Cherry Me and Pink Punch today and then came home read this- great minds!! !